Introducing FitSelection’s new jewelry piece – Triple Plate Dumbbell Bracelet with Grade “A” Agate stone beads. 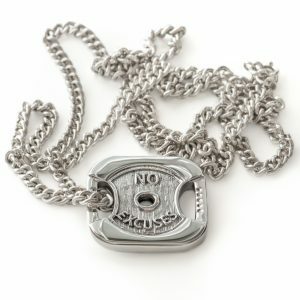 With a dumbbell pendant and beautiful stones, this bracelet is a perfect token as fitness lifestyle motivation and a good luck charm. Item is made from of A grade Agate stone beads. As a professional support stone, Agate stabilizes the imagination and inspiration of artists, provides personal security for police, telephone workers, cooks, chefs and bakers, and protection from falling objects for builders and construction workers. It provides physical strength and endurance for dancers, dentists, and environmentalists, and emotional endurance for educators and recreational workers. 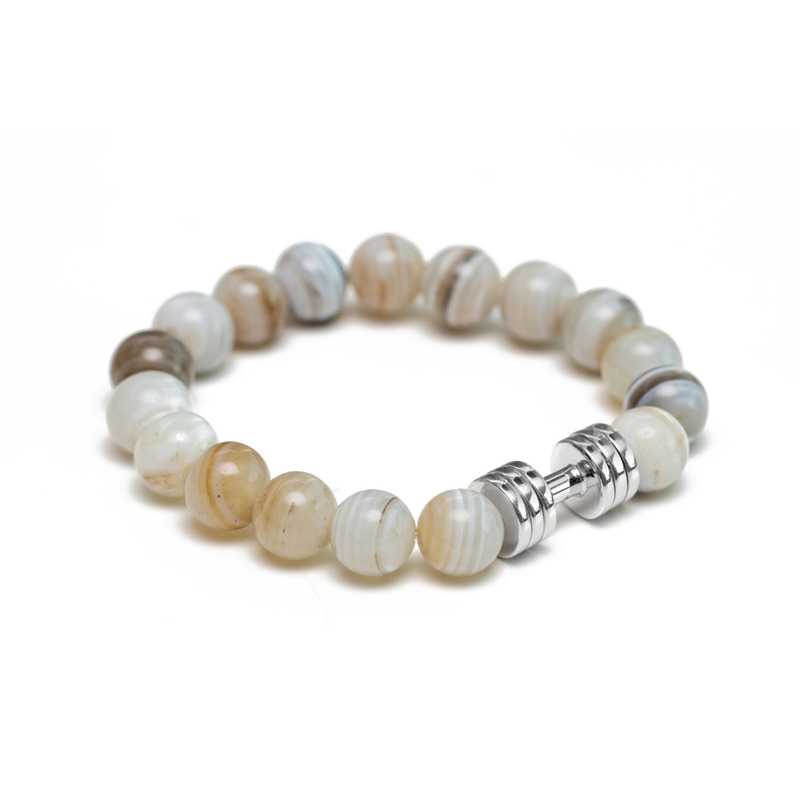 Introducing FitSelection’s new jewelry piece – Agate dumbbell bracelet with grade “A” Agate beads. 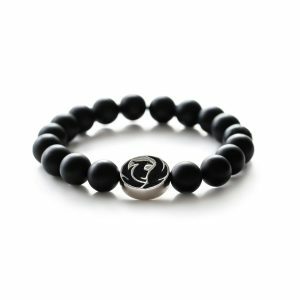 With a dumbbell pendant and beautiful stones, this bracelet is a perfect token as fitness lifestyle motivation and a good luck charm. 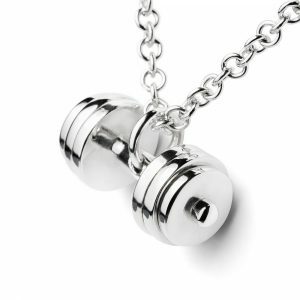 Item is made of natural high quality Agate beads and Rhodium dumbbell. Each bracelet is handmade by our team, wherein we put two rows of strong elastic cord through the beads to ensure longevity. 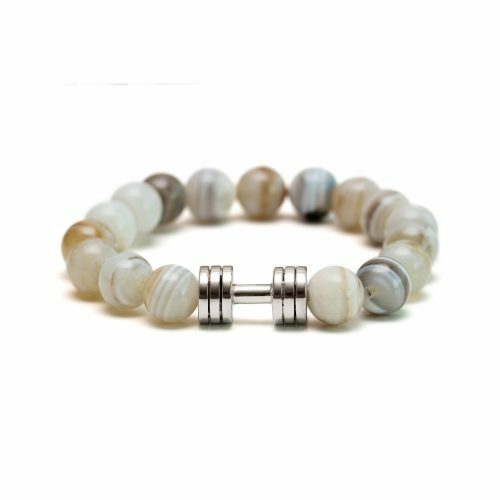 Agate dumbbell bracelet enhances creativity and strengthens the intellect, making it a beneficial stone for both students and artists. It is also known as a good luck stone. As a stone of harmony, one of the things agate does is balance yin/yang energy. Agate increases energy. Agate dumbbell bracelet is an excellent token for rebalancing and harmonising body, mind and spirit. It cleanses and stabilises the aura, eliminating and transforming negativity. Agate enhances mental function, improving concentration, perception and analytical abilities. It soothes and calms, healing inner anger or tension and creates a sense of security and safety.